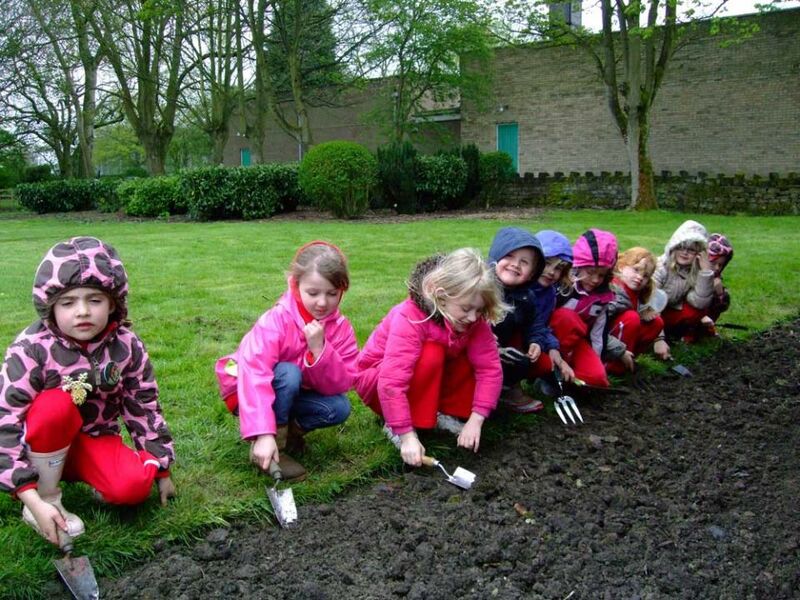 Members of the 2nd Menston Rainbows enjoyed themselves planting wild flower seeds to further beautify HighRoyds Memorial Garden on Buckle Lane. The garden, which commemorates 2861 former patients ( including three babies) of the now closed High Royds Psychiatric Hospital, has been restored with the help of Heritage Lottery grants, support from local organisations and churches and much voluntary community involvement. The garden was opened in July 2011 and was highly commended by the judges of Yorkshire in Bloom in addition to winning a Shipley Community Heroes Award in March 2012. 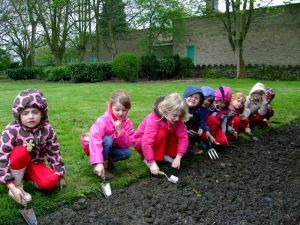 Sue Hargreaves, the Primrose leader of the 2nd Menston Rainbows, said the eight children (aged 5-7), with the help of James Adcock, the son of a parent helper, were thrilled to be asked to plant the seeds which had been donated by the Royal Horticultural Society. Sue says they are now looking forward to seeing the results of their handiwork in the coming months. Trustees of the Friends of High Royds Memorial Garden are delighted with the children’s involvement because as owners of the three acres of land (which includes the adjoining wood) it is important that the local community, with people from all age groups, are committed to keeping the garden in a first class condition both to honour the dead and show that the living care for those who have gone before and for the environment in which we live.